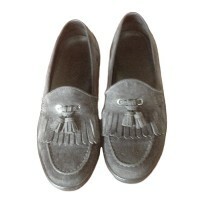 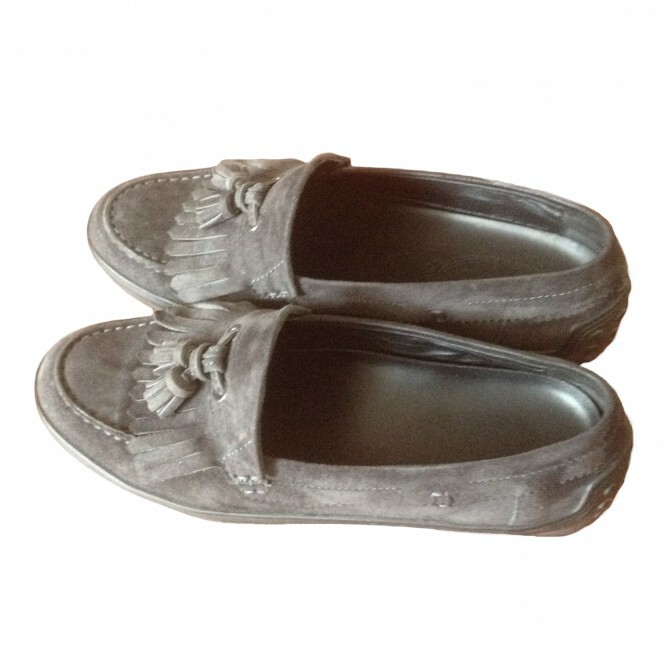 In a color between grey and blue , mostly grey, these flats are a must have , as you can team them with every color. 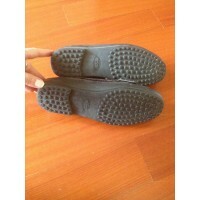 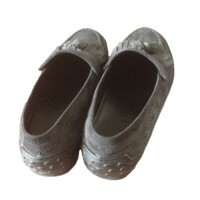 Very comfortable , with rubber sole. 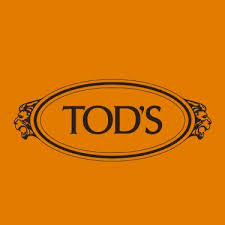 Bought in Tod's Milan boutique in 2014 for 395 euros. 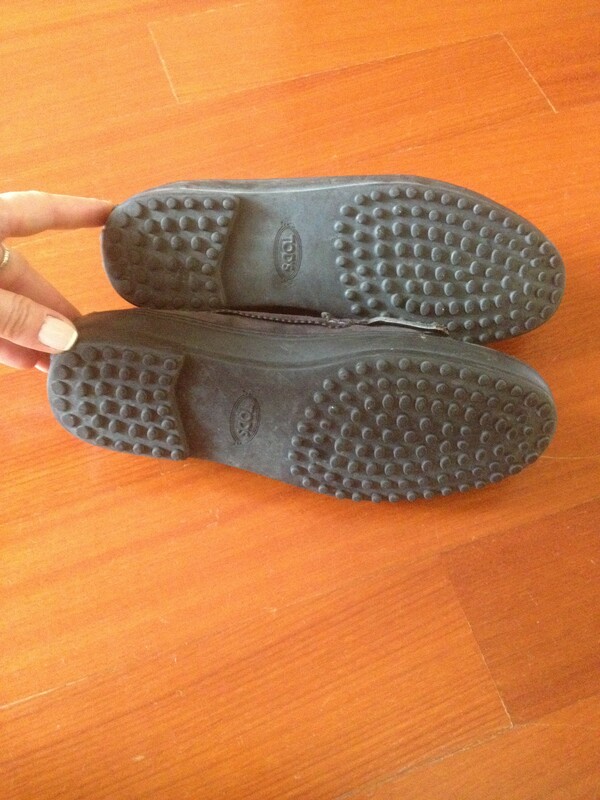 Barely used , there are no signs or defects.